As a rule, the average consumer’s thought pattern isn't characterized by sophistication or depth – all he cares to consider when choosing a phone is index and functionality. 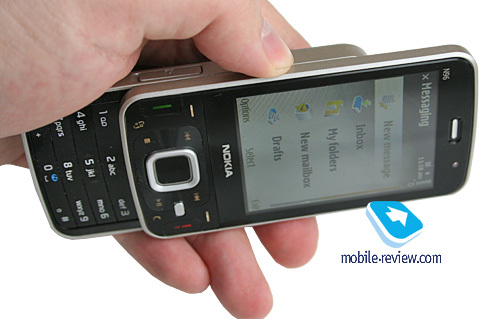 Take the Nokia N95 for example – it is a do-it-all flagship, so the average Joe readily assumes the device that has one rung added to its index, specifically, the N96, should outdo the previous offering in every single way. The logic seems solid at a glance, but as we go deeper into the N96, it loses a fair share of its soundness. Nokia has a clear-cut goal: to roll out a variety of solutions in order to settle down in different niches and for this they need similarly styled phones that pack in unique feature sets. Being resembling design-wise helps offerings that stand close together within the range appear identical to those who buy this trick, even though as far as philosophy and hardware are concerned, they couldn’t be more polarized. Basically, that’s the story of the Nokia N96 that got stuck with the “flagship” title, so now it is considered as the best S60-based solution around, which is not how things really stand. Effectively, it is a niche product that’s meant to open the range of similarly featured solutions, a feeler, if you like – dubbing an all-round new solution that hasn’t stood the test of time yet “the flagship” is somewhat reckless. 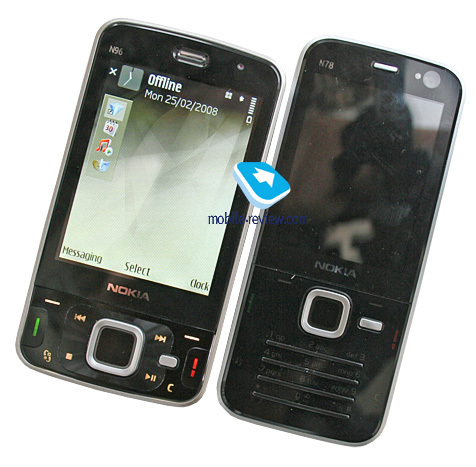 Moreover, Nokia has never done such thing, but gossips care very little about that. 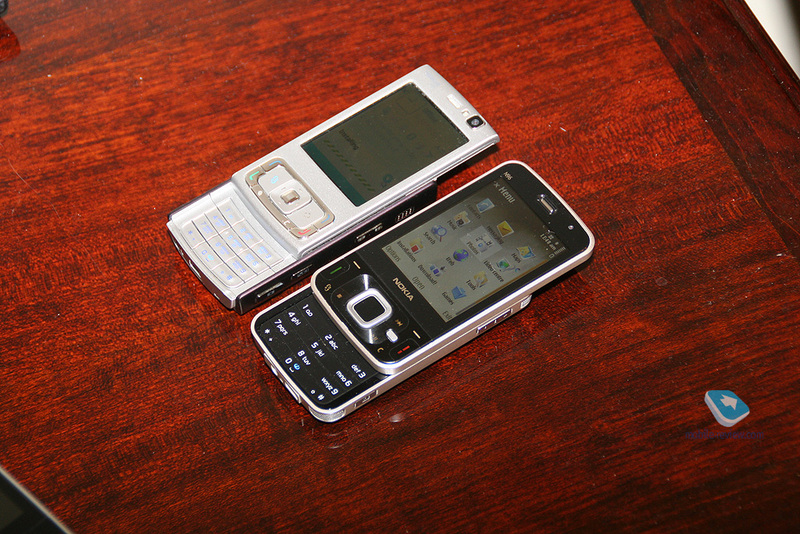 Nokia’s portfolio offers a couple of DVB-H capable solutions, specifically the Nokia N77 and a more dated phone, the N92. Neither of them was widely available, since they were used either in pilot television projects or tailored for particular regions (like the N77 in Taiwan, starting late fall 2007). Indeed, given that the vast majority of markets still have no DVB-H television enabled, a replica of the N73, yet armed with this functionality, was uncalled for. In March 2008, the European authorities standardized on DVB-H and from this point on will put in their efforts to support it. 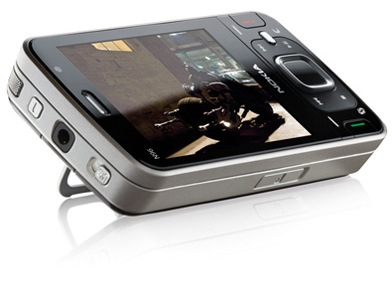 In this sense the Nokia N96 has a good chance to avoid the role of an ugly duckling that will never see release – thankfully, mobile television isn’t a big focus in the N96, it is rather included among all other things there. Much like other Nseries-branded solutions, the N96 is heavy on multimedia, and delivers especially with its video department. There is a handful of things going for it – the display diagonal, hardware support for H.264 decoding, speedier videos and a folding stand that allows having the N96 on flat surfaces at a video-friendly angle. Interestingly, over a year ago Nokia started to enhance its product portfolio not only by varying styles, but also hardware platform underpinning their solutions. 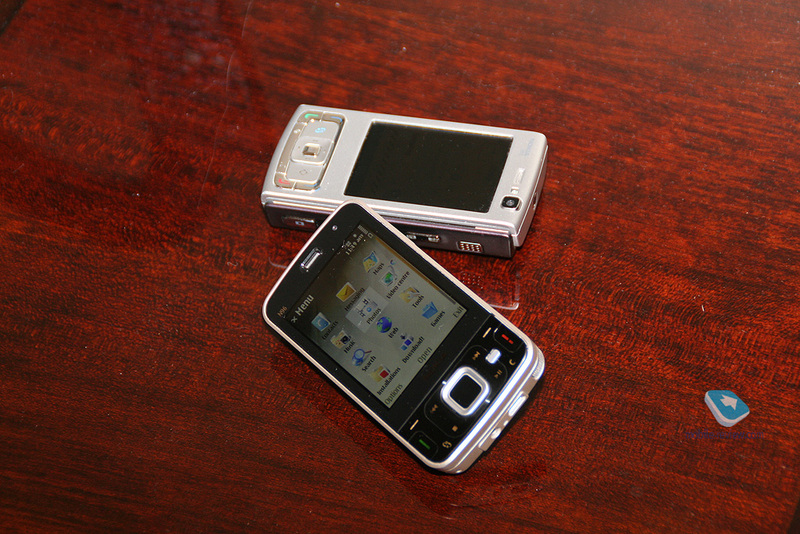 The Nokia N95 and its follow-ups built upon the TI OMAP chip, while the N96 takes advantage of STMicroelectronics’s Nomadik. So when comparing these two phones, their similarities don’t go beyond physical aspects, since other things, like functionality and hardware, are quite different. Is the N96 a mass-market solution? No. Then, is it heavily specialized, aiming at one particular niche? No. It is rather somewhere in between. This phone will see moderate sales, although the fuss around it will easily shadow its modest numbers. 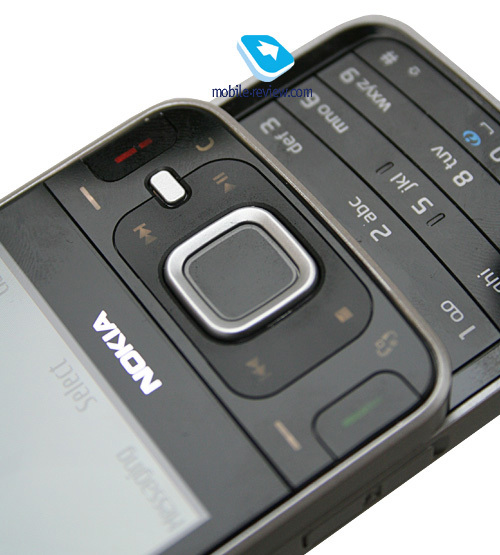 Visually, the N96 is very much like the Nokia N81 8 Gb – same black finish with glossy surfaces, same controls, with a little bit of silver along the sides, making for a pretty seducing mix. The front face is extremely easy to soil with fingerprints and smudge; basically, it gets so dirty in a matter of minutes that a cleaning cloth becomes a must-have for its owners. The phone measures in at 103x55x18 mm (125 grams) plus the camera part is even thicker due the rim around the lens that adds a couple of millimeters to the N96’s girth. 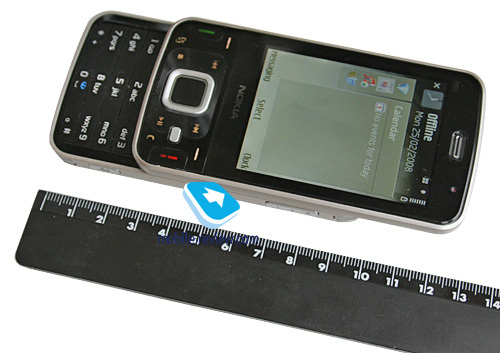 On the whole, the N96 looks and feels more like some sort of shovel in the hand due to being quite wide – compared with the Nokia N81 it has gotten 0,5cm wider. While it is not a solution for women in any way, it is more about whether or not shop assistants will manage to convince them that it is the flagship solution. As far as I remember, the Nokia N93 wasn’t all that petite either, notwithstanding, women happily went for it and carried it around in their purses, and furthermore, some are still using it. 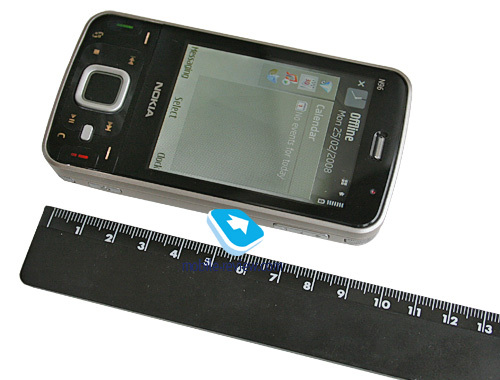 It is important to realize that the Nokia N96’s dimensions are as close to the maximum as it get – its pocket-stretching casing won’t fit just about any jacket or trousers. Some may well argue with me on this, and I will readily agree that some types of clothes are perfect for the N96; but for the most part, it will not please you with its portability. 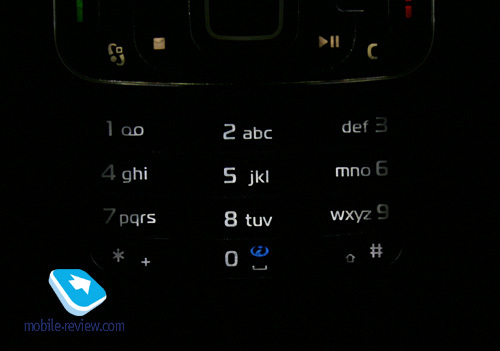 Perched on the top end is the keypad lock slider, the same as that found in the Nokia N81, along with the 3.5 mm headphones jack and power button. 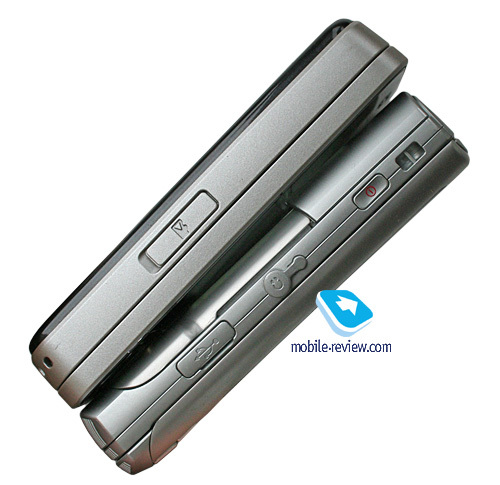 Sitting on the left-hand spine is the microSD memory card slot covered by a plastic flap. Things get more interesting on the right side, where you will find two speakers under a metal grill, as well as the camera button and volume rocker. 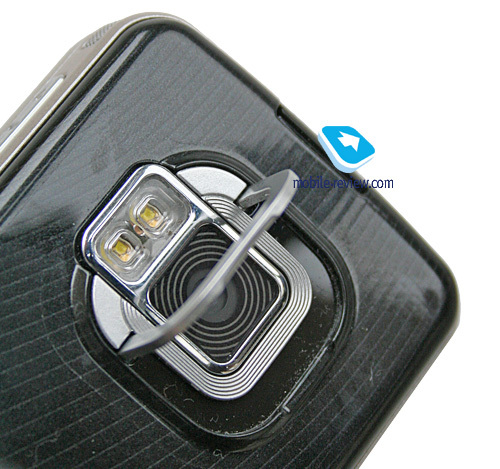 The bottom edge houses the microUSB socket and charger slot (2 mm). Form-factor wise, the N96 is a dual slider that can be pushed both up and down – that is, in the latter case you gain access to the phone’s music-minded controls that also kick in when watching video. 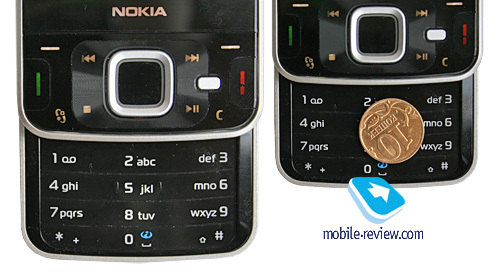 The buttons here, unlike the Nokia N95 8Gb, aren’t bulging – they are flat and made of the same plastic as the handset’s face. 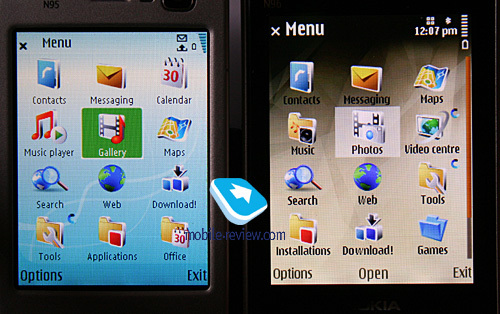 As far as the build quality is concerned, the jury is still out – the prototypes we played around with were nothing special, to put it mildly, so they gave little idea of how the N96 was really put together. 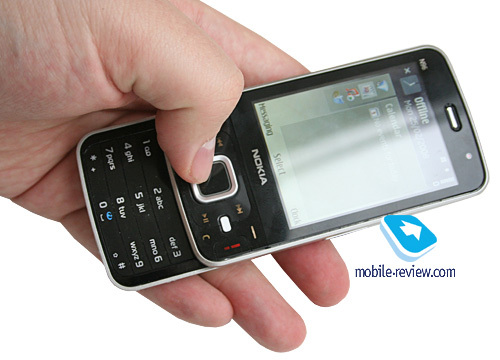 Some time ago we experienced the same thing with the Nokia N81 – when I had my first hands-on session with it, I thought its build quality was horrendous. But then I spent some time with a commercial unit and found that it felt pretty solid and had no trace of its past problems left. And I really can’t think why they would make an exception for the Nokia N96 and leave it as it is today. 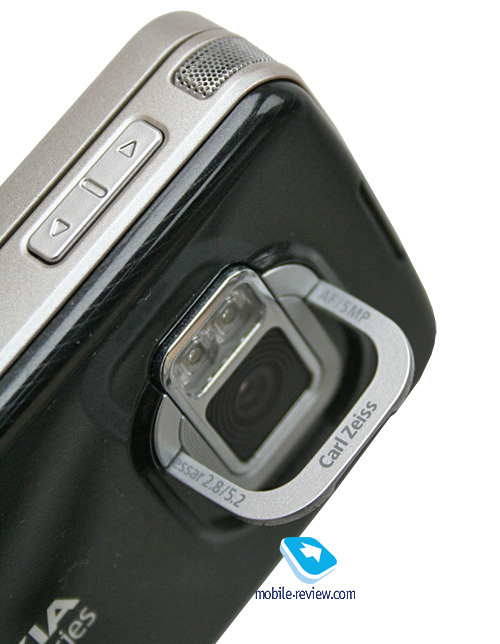 Nested on the rear side are the LED flash, lens of a 5 Mpix CMOS camera (which is in effect identical to the Nokia N95) with autofocus. As of today, the camera doesn’t work properly, as the software is still pretty crude (well, it does take shots, but I couldn’t find one person who would like them). 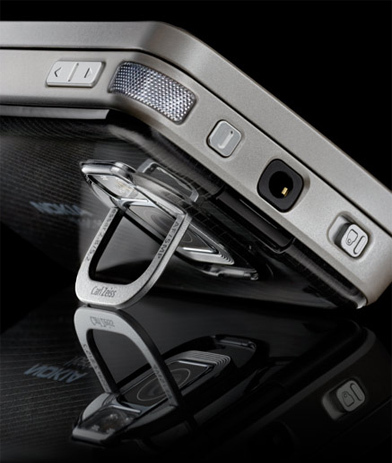 Mounted around the lens rim is a folding stand that allows for a video-friendly setup when you put the N96 on a flat surface. It is pretty handy in use and reliable at that – at least, I pressed, pushed and abused the N96 in all possible ways when the stand was out and still couldn’t break it. The models to come will also enjoy this useful detail. 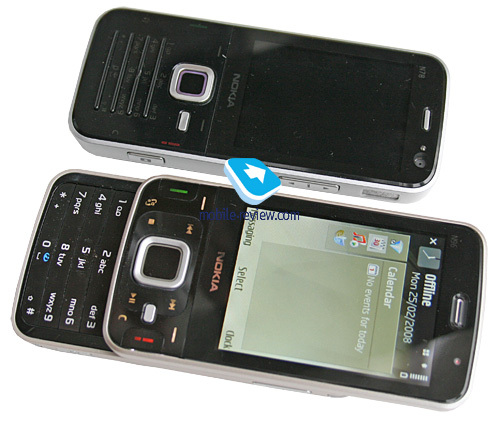 The handset comes bundled with a QVGA 2.8-inch display (240x320 pixels, 42x58 mm). Its 16 million colors and sufficient brightness make for an easy-to-read picture. While in the sun, the display gets washed out, yet remains perfectly legible. 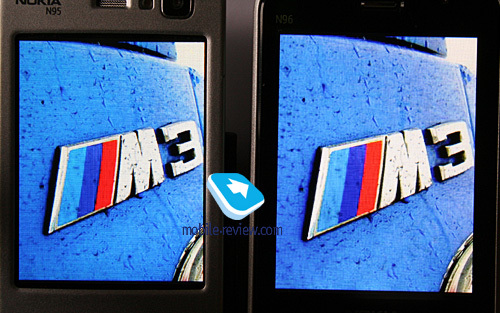 The N96’s diagonal is a clear improvement over the original N95 and its 2,6 inches (which is also quite a difference compared to other 2- and 2,2-inch units). The increased diagonal normally brings about a more blurry image, however thanks to the N96’s brighter display, you will hardly notice this effect. The display accommodates up to 8 text and up to 3 service lines. In some modes, though, you may get up to 14 text lines. All fonts are sharp and easy to read. 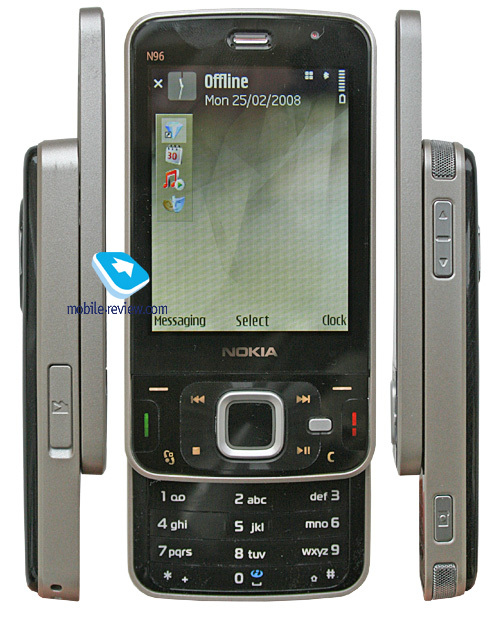 Similarly to the N81, the Nokia N96 employs the Navy Wheel. There is a smallish mechanical button with its edges sitting slightly above the surface. Honestly, I didn’t find it a joy to use. It is also flanked by music controls, which is the same control cluster you will see on the N96’s remote. But that’s not the most interesting thing about it. The fact of the matter is that this device utilizes touch-based navigation, so you can scroll though your gallery and music library by sweeping your finger around the navigation button (direction doesn’t matter – if it’s clockwise, then you’ll be scrolling down). Nevertheless, it is not an essential or vital touch, that’s why by default it is disabled in the menu, which is the right thing. Speaking of the drawbacks, we experienced way too many mispresses on the music controls, especially those on the squashed right part of the keypad. Visually, they seem pretty much like the Nokia N91’s cluster, however in the N96 the right soft-key brings up the Multimedia menu. The numeric keys are average in size and sit under flat plastic slabs. Being glossy, they certainly attract grease and dirt from your hands, which is especially visible while indoors. We have no gripes with the N96’s keypad – it handles well, the buttons are generally good and have sufficient travel distance. They are all lit in white, which makes them visible in various environments. 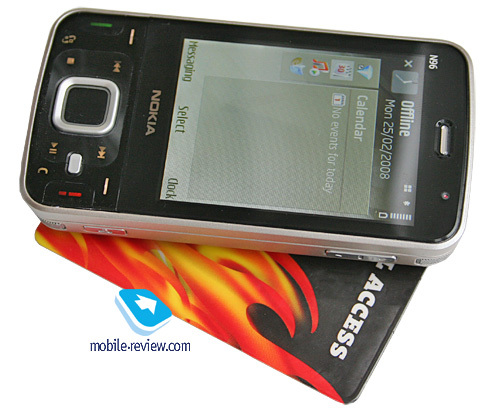 The handset makes use of a 950 mAh Li-Ion battery (BL-5F), which is the same as what the original Nokia N95 had, whereas the N95 8Gb had its cell capacity kicked up to 1050 mAh. 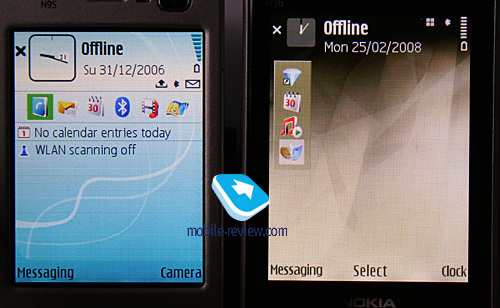 Given their identical screens, we have a feeling that the Nokia N96 could also use a more capable battery. 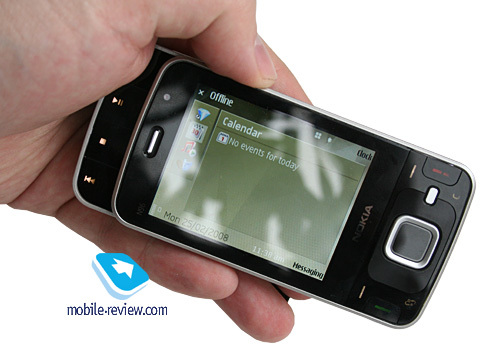 The N96 has a rated battery life of 3.6 hours talk time and up to 220 hours standby time. 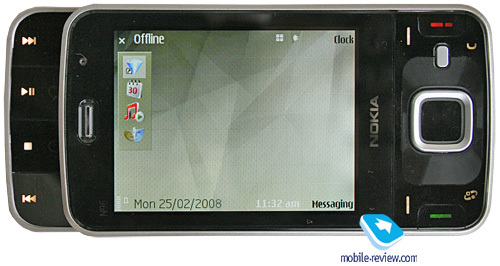 For Nokia N95, the standby time was rated at 240 hours. So, generally, in all main usage modes (voice, web surfing, etc) you won’t notice much of a difference between these too. On a side note, the Nokia N81, thanks to employing different hardware solutions as compared to the Nokia N95, allowed it to excel in terms of battery time in all primary modes, and score 420 hours on standby tests, which is as close to perfect as it only gets. It takes the N96 a little over 2 hours to charge from empty to full. 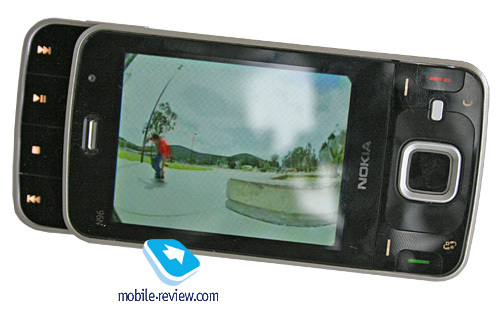 Video – 4.5 hours (rated at 5 hours, the Nokia N95 8Gb lasted 3.5 hours). 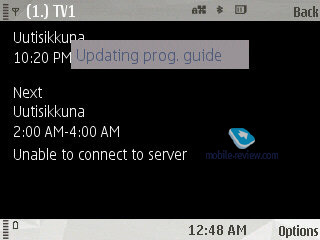 WEB surfing (over EDGE) – 3 hours (same 3 hours on the N95 8Gb). Wi-Fi (non-stop data upload) – 3.5 hours (N95 8Gb – 3 hours). 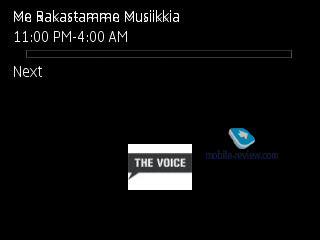 TV (only for the N96) – up to 5 hours. Obviously, the N96’s hardware feats help it stay up in the video and music modes longer while packing a less capable battery. 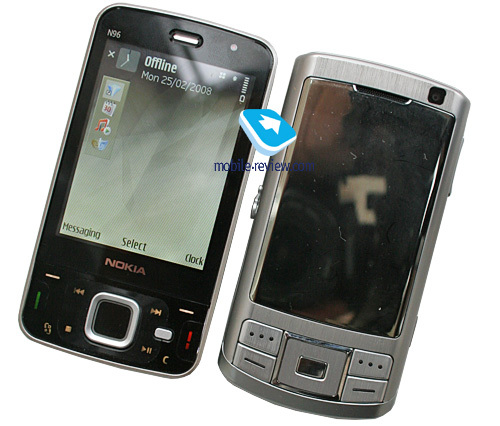 Other than that, it was on a par with the Nokia N95 8Gb (give or take in view of its inferior cell). 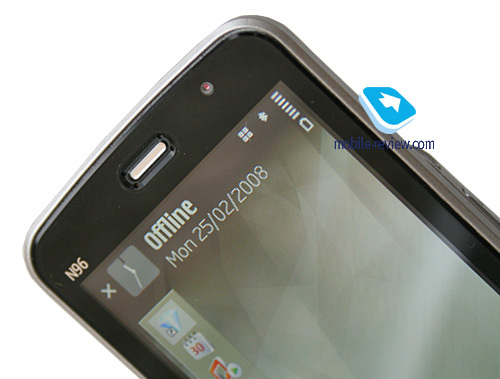 In Moscow, the N96 stayed online for around 2 days when we were heavy on its features (regular mail checks, up to 5 hours of music and up to 20 SMS messages). We are confident the phone will easily last 2 days even in the most extreme usage mode (except for non-stop web-browsing), and if you are planning to use nothing but its voice calls, then expect 3-4 days of operation, depending on how much time you spend on the phone. The N96 is the first S60 smartphone to enjoy both 16 Gb of built-in storage and memory cards. Up until today Nokia hasn’t been running this memory structure on many devices, except for its Internet tablets, like the Nokia N800 or Nokia N810. It is definitely a great feat to have; but it is not only Nokia – Motorola is also exercising this approach (specifically with the ROKR E8, although this concept is marred there by measly inbuilt storage volume). 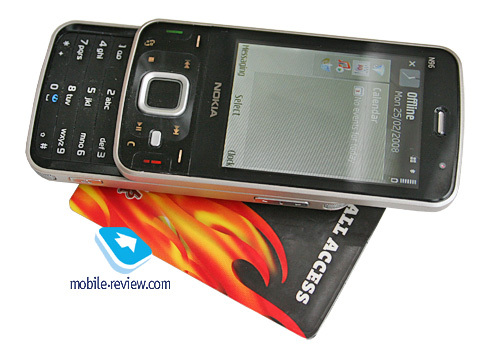 The handset sports a couple of sections inside its memory – one, Disk C (256 Mb of which around 180 Mb are available), is employed for storing user data, contracts, messages, calendar events etc; it is managed like on other smartphones, i.e. you can save any files here, install applications you need and son on. The same tricks can be done with the inbuilt storage, marked as an extra disk, or, as today’s smartphones have it, a memory card. The file manager now features another tab for memory cards; but at the end of the day it doesn’t really matter what memory section you work with, as you are free to jump between them back and forth, install any applications you want, save any data you need and so forth. So, in essence, it is all the same. On the other hand, there is a tiny detail, that can come in handy – when copying files in the USB Mass Storage mode into the handset’s built-in memory, the speed will top out at around 2 Mb/s, however, when moving data from or to the memory card from the bundled storage, you will get only 1 Mb/s at best. And we are lost on why it’s so – probably, we’ll need to get back to this issue once we get our hands on a commercial unit. 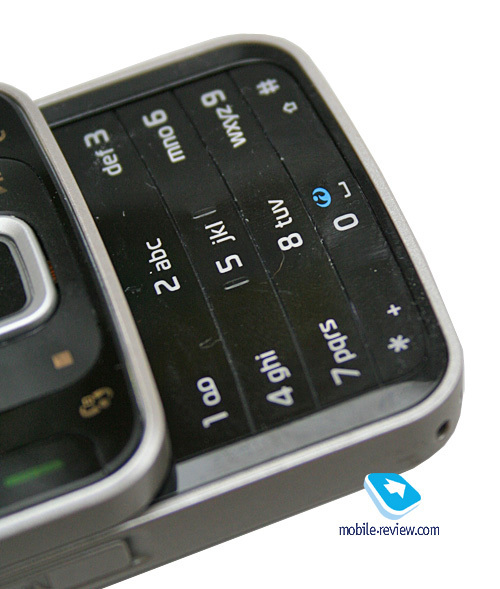 The N96’s RAM volume makes 128 Mb, although after first start-up there will be only around 89 Mb left at your disposal. 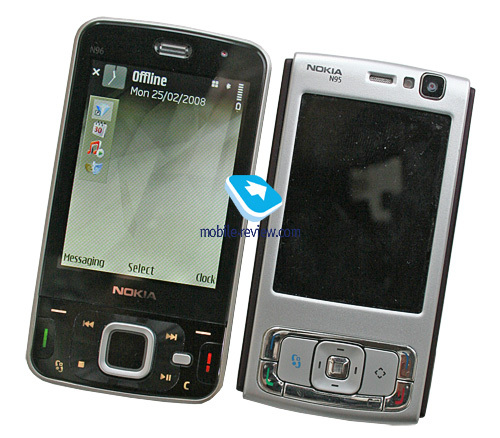 On this front it is no different from the Nokia N95 8Gb. 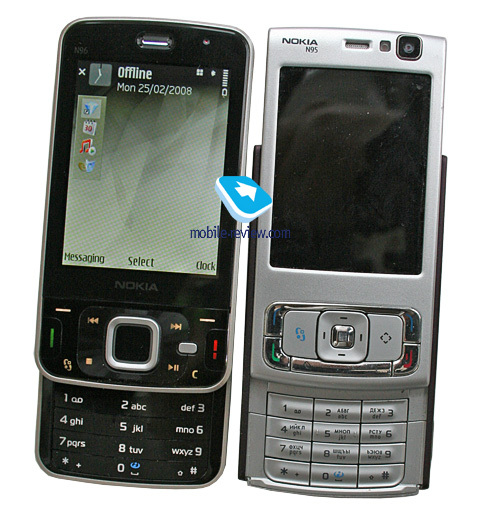 As you remember, the Nokia N95 runs the TI OMAP 2420, which is the same solution utilized for all top-of-the-line solutions. 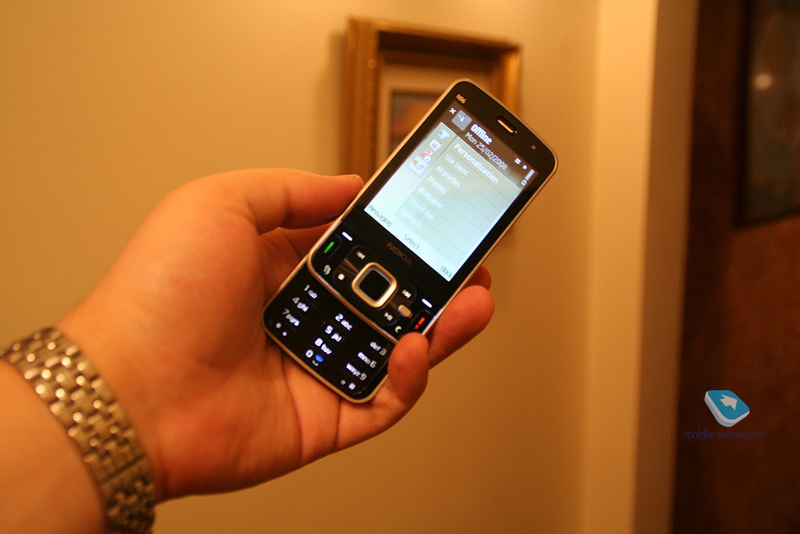 With the advent of the Nokia N81, they added another option – a platform from Freescale. And now along comes the third solution – the STN8816 (Nomadik line-up) from STMicroelectronics that employs the ARM926EJ CPU running at 334 MHz. Honestly, sometimes I catch myself thinking that this “334 MHz” mark is bewitched in some way, so that Nokia’s S60-powered solutions can get past it. The fact is, all today’s devices utilize this clock rate, and it’s not clear why, given how different the solutions they retain are and the possibility to kick the TI OMAP's rate up. The N96 also packs in a DSP for video processing (decodes to H.264 at 30 FPS and VGA resolution – other formats are supported too, but this one is more prioritized). For its audio needs, the handset employs a 24-bit DSP and a wealth of effects that come preinstalled with it, although it is all up to the vendor to enable them or not. As you can see from this short rundown on the platform, the N96 has some feats onboard that we would like to take for a test drive; specifically, its sound quality and how it fares compared to the competition. The phone also comes packaged with a motion sensor that automatically rotates the screen when you flip the N96 in your hands. Data Transfer (Mass Storage USB) – memory cards is available, no drivers required, as your OS identifies the handset automatically. Data transfer speed makes around 1800-2000 Kb/s (USB 2.0). The top speed you can get with the N96’s Bluetooth connection is around 100 Kb/s. We also tested its A2DP profile in pair with the Sony Ericsson DS970 headset, which worked just fine – we managed our play list, skipped within tracks and adjusted volume seamlessly, however we couldn’t make current track’s title show up on the N81’s display. Wi-Fi. This handset comes armed with Wi-Fi (IEEE 802.11 g) support. All security standards are supported: WEP , WPA , WPA 2, with other advanced settings available. The device supports Universal PnP standard (UPnP), which is the successor to the wired standard PnP. With its help, along with Wi-Fi, you can send slides to a TV, music to a stereo system, and photos to a printer. In a certain sense UPnP is like an add-on to the infrastructure (Wi-Fi, for example) in the form of Bluetooth-esque services, so this looks more like a software upgrade. The sales package includes Home Media Server, which allows connecting the N96 through your home Wi-Fi network to a desktop PC. 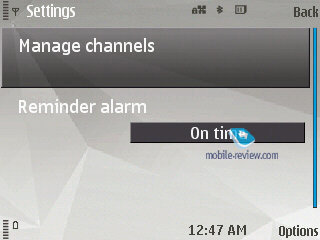 There is also a Wi-Fi wizard available in the N96 – it can keep looking for enabled networks in the background mode and tap into them. What we were really thrilled about with the N96 was what the new chip could bring to the table – its 24-bit DSP had to make some difference, compared to the performance of Nokia’s other offerings. However, we didn’t notice any substantial improvements, although it seemed that bass pumped better, especially when we used custom earphones (the one that comes bundled with the N96 isn’t a good choice after all). The handset’s player packs no bells and whistles, being a standard FP2 fare – you can learn more about it and the system itself in our in-depth review. And now it’s about time we gave the tribune to Alexander Dembovsky – wrapping it all up, we should also note that the N96’s inbuilt FM radio is pretty good, although it is little to no different from other solutions out there. In speakerphone mode the phone did well playing music and radio – actually over my quality time with the Nokia N96 I got hooked on its online radio, I would often tap into a local WiFi network, tune in to some station, pull the stand out and enjoy music or news bulletins. All thanks to such a tiny, measly detail as the desk stand, the N96 is so much more usable – in this sense I also like the way the Nokia N810 is designed. 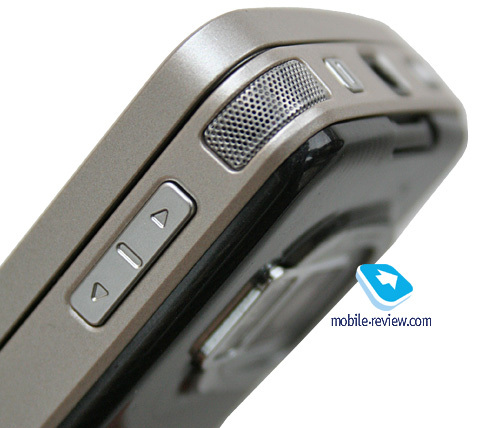 In spite of some expectations we had, the N96 isn’t much of a stellar performer on the audio front. 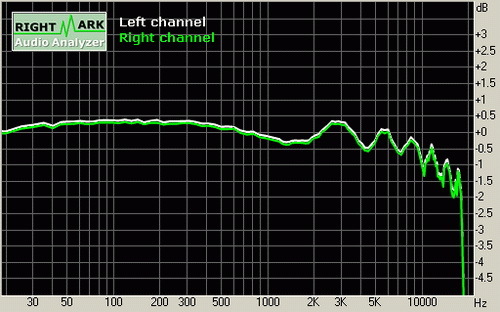 To be more specific, its highs are somewhat crippled and to mend them up to the level that feels appropriate for a mobile phone, you will need to tweak them with the equalizer. Thankfully, as far as mid and lows go the N96 does much better, with the signal being even across the entire range, which is something we are used to see with above-average dedicated audio players. Another thing of note is the intermodulation distortions surge around the 1 kHz mark. 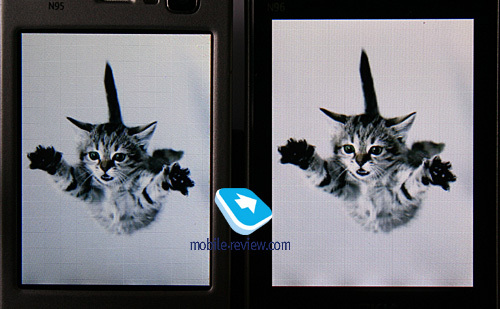 Other than that, the Nokia N96 does a fairly good job. 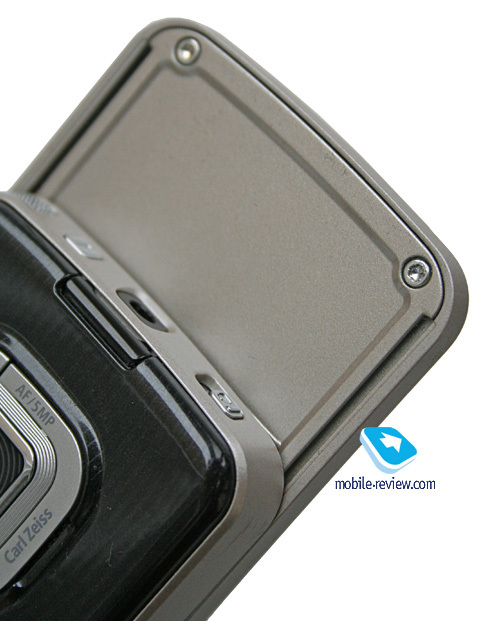 Compared with the Nokia N95 8Gb, the N96 is slightly ahead, although very few people will actually feel the difference with bare ears; but one thing is for sure – the N96 delivers when it comes to bass, trumping its sibling on this front. The N96’s output signal strength is sufficient for most earbuds and clip-on headphones, though for best performance we recommend using a pair of good noise-isolating earbuds. 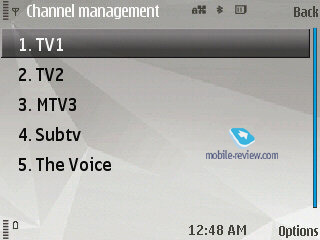 The N96 comes installed with a no-frills application for watching TV programmes, featuring a list of broadcasts, enabling you to see short clips taken out of them (not full-screen, however). On the plus side, this app allows for programme descriptions, also it can kick in or start recording on schedule, although the latter ability won’t be available for the most part, since most of the content you watch is protected. 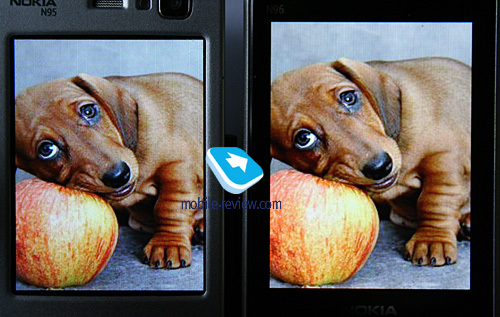 The TV quality offered by the N96 is relatively good, especially when you think that it is DVB-H; consequently you wont’ be able to make use of this functionality unless your region supports the DVB-H standard. The reception quality provided by the N96 is up to Nokia’s standard, nothing to worry about here. The vibro alert is moderate strength-wise. 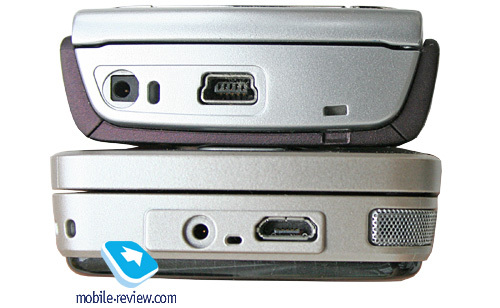 The N96’s two loudspeakers are pretty average as far as their volume is concerned, in fact on this front it is in line with the Nokia N81. Basically, with the prototypes we got our hands on, it is impossible to judge the N96’s real build quality or UI speed and reliability, so we can either wait for new updates to hardware and software or just sit idle until we get a chance to play around with a commercial edition of the handset. 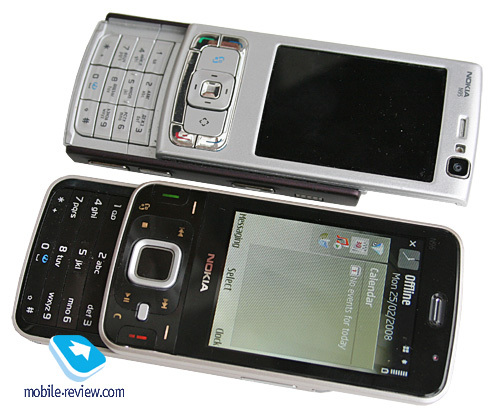 The N96 is set to arrive in August – September 2008 and will retail for around 550 Euro in Europe (whereas in Russia its price tag will float around the level of 1000 USD, especially during its first months on the market). This phone is heavy both on video and television, that’s why its feats won’t be particularly craved here, in Russia. And given that there are other offerings to come that will offer similar specs under their hoods (USB speed, memory structure), there is no point in paying a premium for the Nokia N96 and getting a bunch of pretty much useless abilities for good measure. 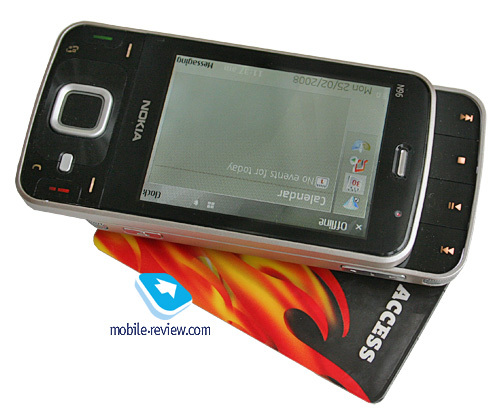 On top of that, the N96 is rather a stand-alone device in Nokia’s range; it by no means aims to appeal to each and everyone as the top-of-the-line solution in spite of its index. 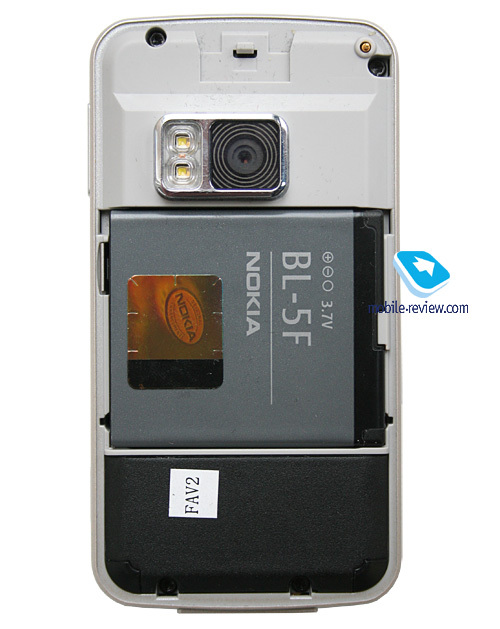 On a more interesting note – the Nokia N95 8Gb, upon its release, went for 570 Euro, which is in line with the Nokia N96’s reported price tag and even a tad above it. But there are no far-reaching conclusions to be made here, except for one thing – 16 Gb storage will become par for the course starting late 2008, as a couple of affordable (relatively, though) N81-esque models will come out sporting this much memory onboard.